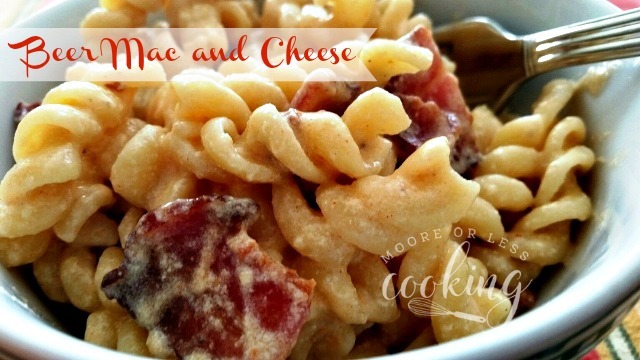 Creamy Mac and Cheese with a hint of beer and bites of bacon is one of our favorites for a family dinner, especially during Oktoberfest! Today, we are celebrating Oktoberfest with our Sunday Supper tastemakers.When I think of Oktoberfest, I think of BEER! 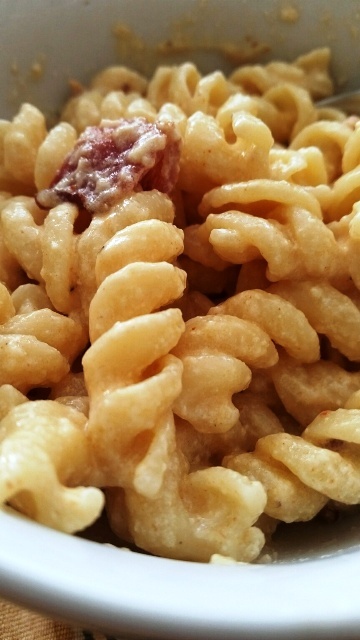 So, I thought I would make my Beer Mac and Cheese with lots of flavorful cheese, crispy bacon and of course beer! Oktoberfest is the longest running beer and traveling fair held annually in Germany. This popular festival is celebrated worldwide with German-inspired food, activities and lots of beer. This folk festival runs for about 18 days from September to October. The celebrations have been going strong for 206 years, starting in 1810. Oktoberfest is a very important part of Bavarian culture. So I thought I would make my Beer Mac and Cheese with lots of cheese, bacon and of course beer! 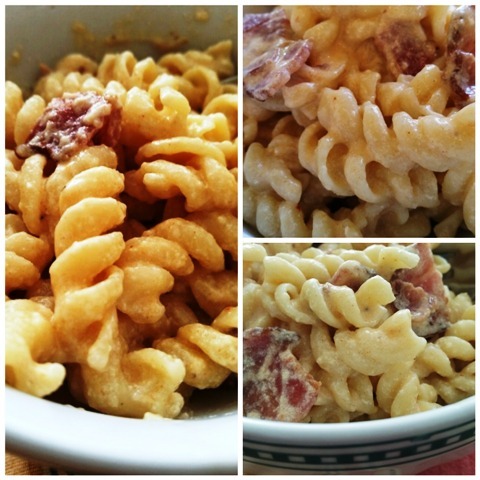 A bowl full of creamy, cheesy, bacon Pasta!! This got gobbled up so quickly!! 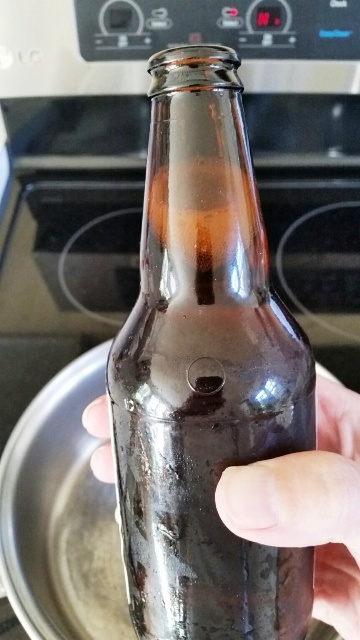 I used an IPA Pale Beer in this recipe, it was the only beer left in my refrigerator after the last party! It is sweet and tangy and so flavorful! 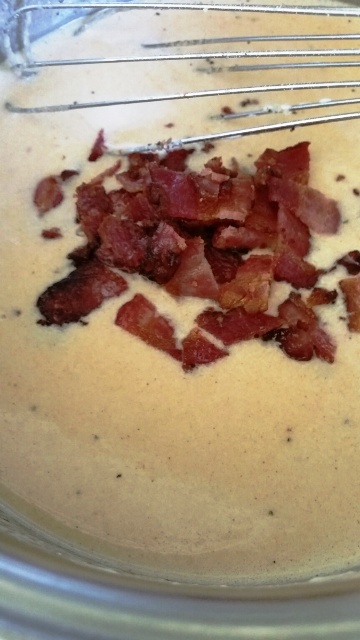 Add chopped bacon to the cheesy sauce. Bacon and Cheese! My favorite!! 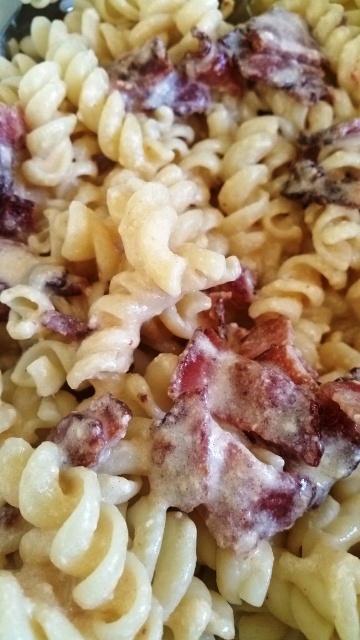 Creamy Mac and Cheese with a hint of beer and bites of bacon is one of our favorites for a family dinner, especially during Oktoberfest! Bake bacon in the oven at 400 degrees Fahrenheit for 10-15 minutes on a parchment lined baking sheet. 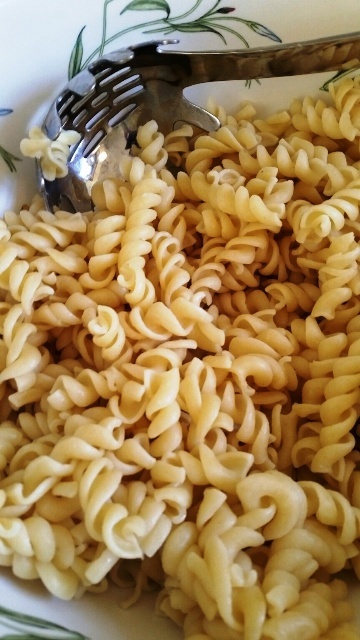 Cook pasta al dente, about 6 to 8 minutes. Drain pasta and pour back into large pot. In a separate saucepan, add beer, egg and sour cream, beat until well combined. Heat on medium heat then add butter. Stir until the butter is melted. add cheese, ¼ cup at a time. Stir until cheese has melted before adding more. Add the spices and chopped bacon, stir. Pour over pasta and stir to combine. Check out all of the delicious recipes for Oktoberfest! Pickled Red Onions by What Smells So Good? What a great combination of flavors! Pasta, bacon, beer, and cheese in one dish? I’m sold! You had me at Beer never mind Mac N Cheese! Great combo! I bet the beer adds a terrific depth of flavor! And bacon? Whoa, baby!!! Terrific mac and cheese!! I just love the idea of adding beer to a mac and cheese! It sounds lovely and a cold beer to go with it would be perfect! Yum! Can’t wait to make this. It is perfect for fall! Thanks for sharing. You had me hooked with beer, bacon and cheese and then you reeled me in with the chipotle.